Why Tian Chang Di Jiou Bridge is special ? 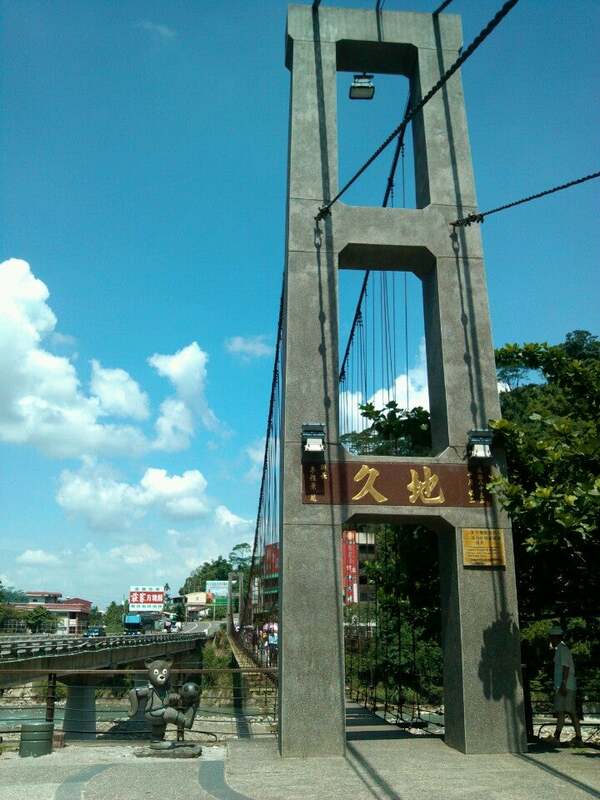 Tian Chang Di Jiu Suspension Bridge were built in 1937 and were used by the early villagers of Gong Tien Chuang and Chu Kou to go to Chiayi. The Bridge, also known as the Lovers' Bridge, is situated in the middle of a deciduous forest, with the cascading waters from the river running below. The river is fed by three tall and magnificent waterfalls, with water falling from hundreds of feet from above. The captivating scenery and refreshing air paints a romantic painting and the enchanting bridge is definitely perfect for photo taking. What to explore at Tian Chang Di Jiou Bridge? 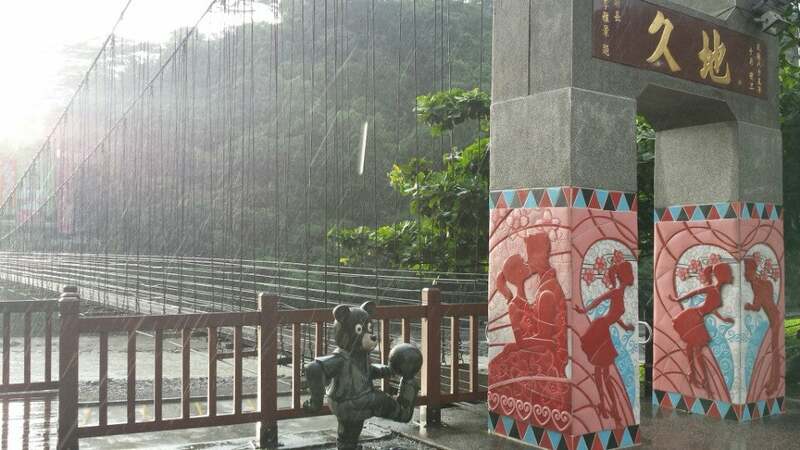 The Tian Chang, Di Jiu and Lover’s Bridges crossing the Bazhang River make Chukou a romantic place frequented by visitors ( “Tian Chang Di Jiu” means “eternal love” in Mandarin). Nearby is The Longyin Temple which founded in 1980 is a sacred spot that many go to before entering Alishan. 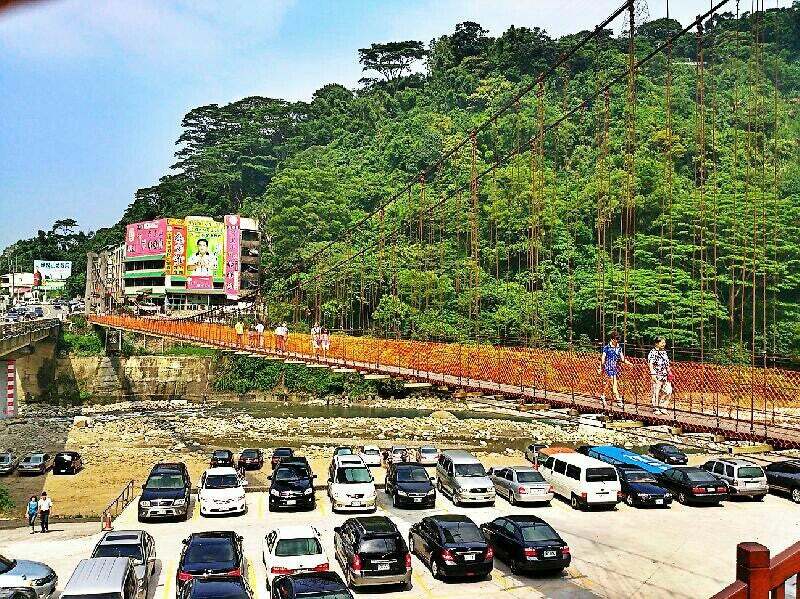 Most of visitors choose this bridge to be a place for relax after a trip to Alishan. Kids are free to chasing while adults can wander around where food stalls are available if you are hungry. 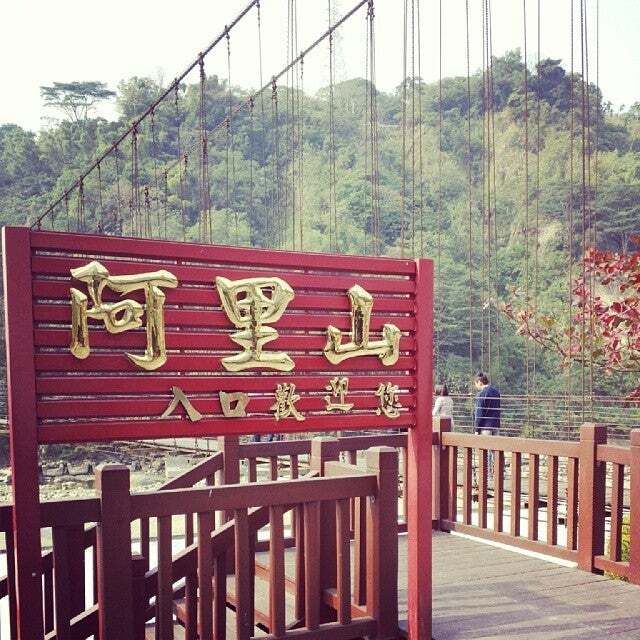 Tian Chang Di Jiu Suspension Bridge sincerely welcomes its visitors with the scenic view and fresh air. How to get to Tian Chang Di Jiou Bridge? From Chiayi Station, you can take bus 7322 to Tian Chang Di Jiou Bridge. The journey costs 82,00 NT$. Or you can take a taxi to the place. 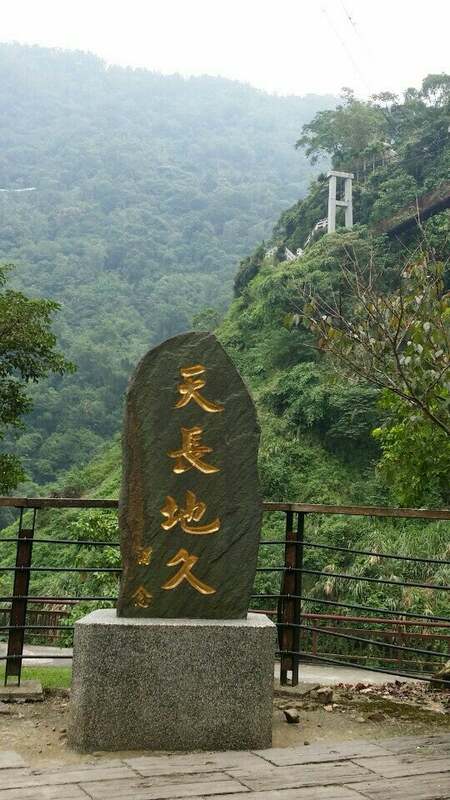 It is suggested that you go directly to the the high bridge "Tien Zhang" and try to look down past "Di Jiu" for a broad view. If you're planning to go to Alishan mountain or just back from Alisha mountain, you should take a break here, nothing to be lost. Although it was simply to walk both bridges, the view is breathtaking especially on Tianchang bridge. The one that is higher up. Also know as Lovers' Bridge. 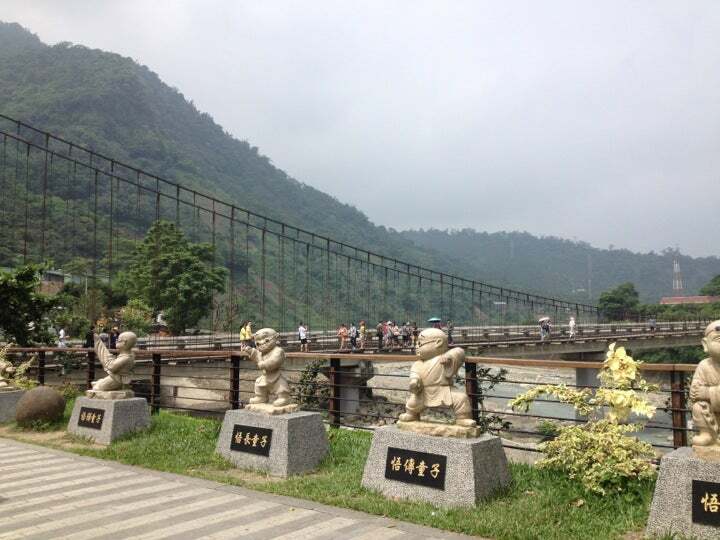 Made of 2 suspension bridges, Tian Chang the upper bridge, Di Jiu the lower bridge. On our visit, the river under the bridge was almost dry. Nothing much to see here but good for a toilet break. Nearby there is a small temple and some food stalls selling finger foods , fresh and dried fruits.